Yes, this is a beer blog about Atlantic Canada but every once in a while I plan on writing an entry about things going on outside of our region. Also, I do have some critical Atlantic Canadian content at the end of the post. 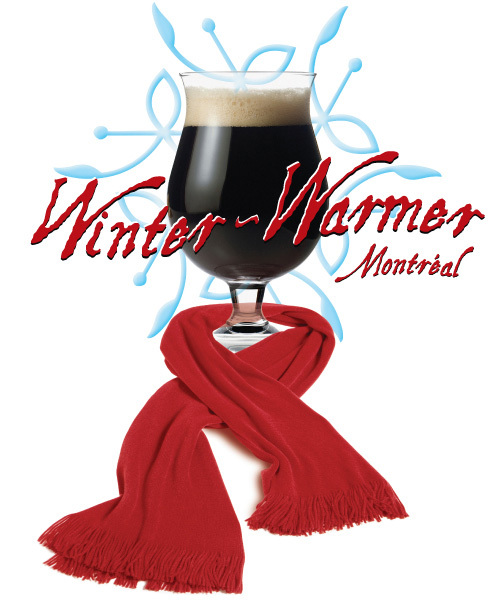 The second annual Winter Warmer Montreal will take place February 23rd, 24th and 25th. The event will feature thirty two craft breweries offering a variety of beers including Barley Wine, Scotch Ale, Baltic Porter, Imperial Porter, Imperial Black IPA, Cherry Imperial Stout, Double IPA, Christmas Beer, Honey Imperial Stout, Weizenbock and others to be announced. A gourmet menu with items such as smoked salmon mousse in dill cream, cherry and Imperial Stout cupcakes, an assortment of Quebec cheese and other items will be offered to match with the beers. The event will take place at the Théâtre Plaza with tickets going for $95 each plus taxes. Anyone of thinking of combining a trip with a Canadiens game will be disappointed to hear they are out of town on these dates. Now for the Atlantic Canadian content: who’s going to organize something similar out this way?